The first week of the new National Women’s Soccer League season is in the books and my first takeaway is how evident it was which teams were returning most of their players and philosophies, as opposed to which teams were not. 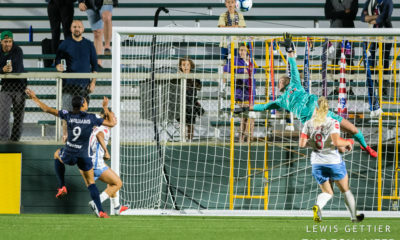 The North Carolina Courage hardly played their best but also started returning players at all 10 field positions and the soccer had a familiar feel to it. 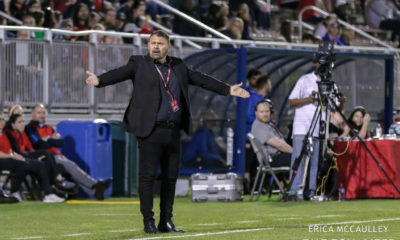 The Washington Spirit started what amounted to four new players on the back line alone, and while they won for the first time since before Memorial Day, it was very much a feeling-out process sort of match for them. And then there was the Orlando Pride-Portland Thorns. The Thorns did the Courage one better by rolling out returning players at all 11 positions. They also appeared to immediately target Joanna Boyles, a 2018 draftee making her NWSL debut at center back. Meanwhile, the Pride played a passive, defensive match at the start. It’s one thing to sit deep and yield ground, but it’s another to offer little to no resistance even when opposing players get on the ball in the attacking third. You’ll notice that no Pride midfielder is even close to the space Horan is occupying. Shelina Zadorsky is beginning her approach, but Horan is way too far from goal to be handled by a center back stepping to her. Horan also took down league MVP honors last season on her ability to get on the ball and finish even when tightly marked, so to leave her this wide open is an egregious error for the Pride. I don’t want to harp too much on one sequence, as mistakes will happen throughout the course of a match. But Horan being that open was more emblematic of how the first half was played than it was any sort of anomaly. And then came Harris’ post-match remarks. 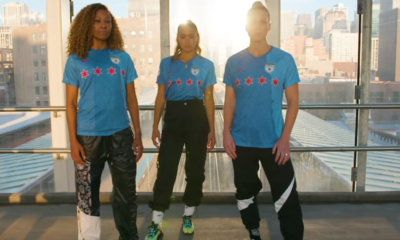 Not surprisingly, this clip quickly became the talk of the NWSL. Even less surprisingly, few opinions were measured. I’m going to try and look at a few different angles. First, I love the honesty. WoSo largely remains stuck in the aw-shucks-we’re-all-friends world of being magnanimous after matches. There are clear and obvious reasons for that tact, but it is also refreshing to hear a player unleash some honesty in the face of a poor performance or something else that is on her mind. It can be a key part of developing and marketing the personalities of a league. That is not to say any players should be less than honest or exit their comfort zone for the sake of making a point. But if that’s how Ashlyn Harris felt, then I am more than happy to hear about it. In fact this is not the first time Harris has gone nuclear on her team following a loss. In 2013 she excoriated her team following a 4-0 loss in Western New York that dropped the Washington Spirit to 1-7-3. Before they played again, head coach Mike Jorden was fired. That won’t be happening this time. In fact, Harris went out of her way to praise Pride coach Marc Skinner for his commitment to the team including giving up a job back home in England as coach of Birmingham City to take the gig in Orlando. 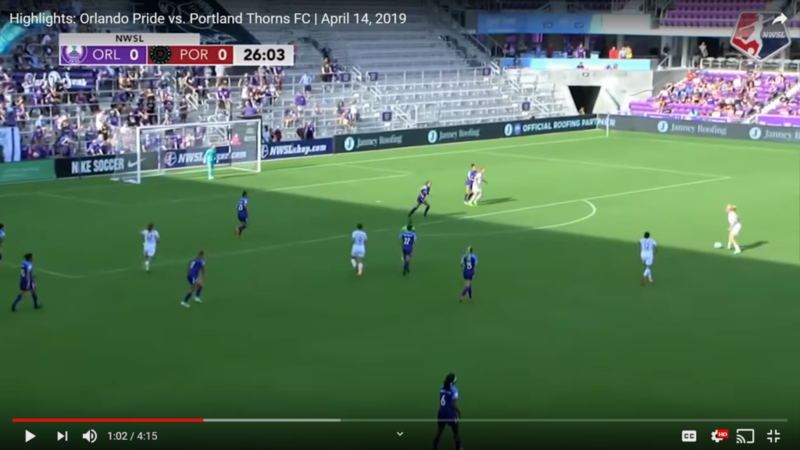 Sunday was also Skinner’s first regular-season match as Pride coach, and the team played much better in the second half, something even Harris acknowledged in other comments not included in the video segment above. Skinner also agreed with Harris to the extent he was up front about the performance against the Thorns. Here’s where I think Harris’ comments were mistimed, if not misguided. I understand the Pride finished 2018 in free-fall and played with zero energy over the last month as they turned a promising season into a disaster. But this was still the first game of a new season and a new regime. If we show that clip to someone in 10 years time with no context, they will probably assume it came after a long losing streak. 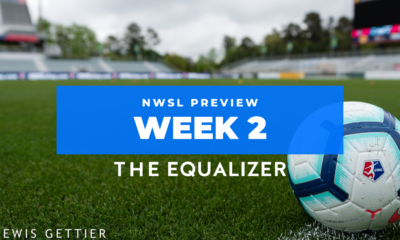 Beyond that, the Pride are facing a difficult week with a Wednesday trip to North Carolina to face a Courage team with one extra day of rest and no travel. After that, it’s out to Tacoma on Sunday to face Reign FC in the first match in that team’s new stadium. Maybe Harris was trying the get ahead of the built-in excuses and get some players to take accountability beyond the fact that the Pride were dealt as difficult an early schedule as you can ask for. One more factor is that Harris will be leaving the Pride at the end of the month to join the U.S. squad for the World Cup. If things go well, she will be gone about 11 weeks. That is a lot of time for the Pride to develop in the new regime without Harris, Alex Morgan, and perhaps Ali Krieger. It would be an interesting mark to leave depending on how things are going on the other side. Whether I, or anyone inside the Pride, agree with Harris or not, she gave us something to discuss this week. And the NWSL needs more of that. Joanna Lohman woke up early Saturday morning and went to play soccer just as she had done during the season for the last decade plus. Then she spent her evening at the Maryland SoccerPlex just as she had done for the last three seasons since joining the Washington Spirit in 2015. But this was unlike any other Saturday for Lohman, who retired from professional soccer at the end of preseason. “I woke up Saturday morning and thought I was going to play in a co-ed league,” Lohman recalled. But when she got to the game, there were no other women in site. Lohman had been invited to play in a men’s rec league match. Lohman scored and had two assists and, in her own assessment, “played really well.” So well in fact that a player from the other team objected to having a woman on the field. “What a way to break barriers,” Lohman added. 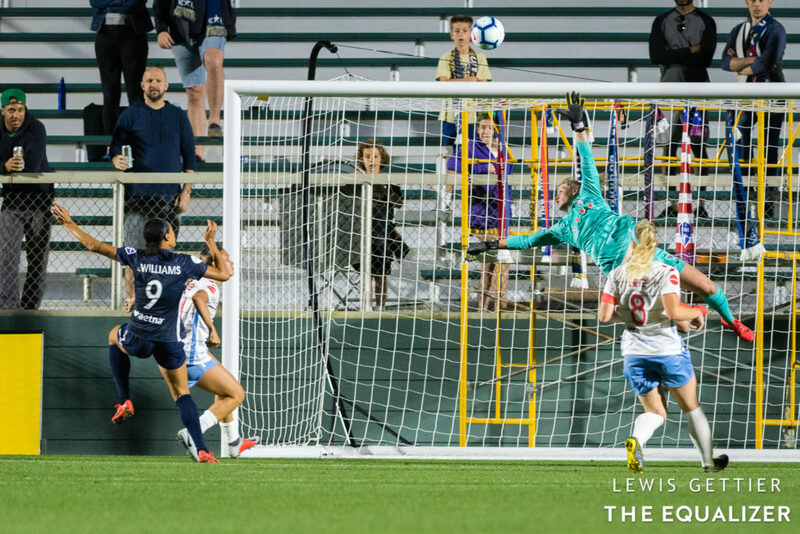 In the evening, Lohman went to the Plex and sat in the stands to watch her Spirit — she still speaks of the team in first person — defeat Sky Blue FC, 2-0. She sat near U.S. coach Jill Ellis and joked that her retirement was only from club soccer, which left her summer wide open should a World Cup spot open up. -T he Reign are waiting on final confirmation, but it seems that Jasmyne Spencer has a torn ACL which would keep her out for the rest of the season. In better news, it looks like just a bruise for Megan Oyster and she is not yet ruled out for Sunday’s home opener. — Including the playoffs and International Champions Cup, the Courage are now unbeaten in 16 straight, which is how many matches the 2014 Reign opened with before losing. In the regular season, the Courage streak is at 12, matching their club record set at the start of last season. 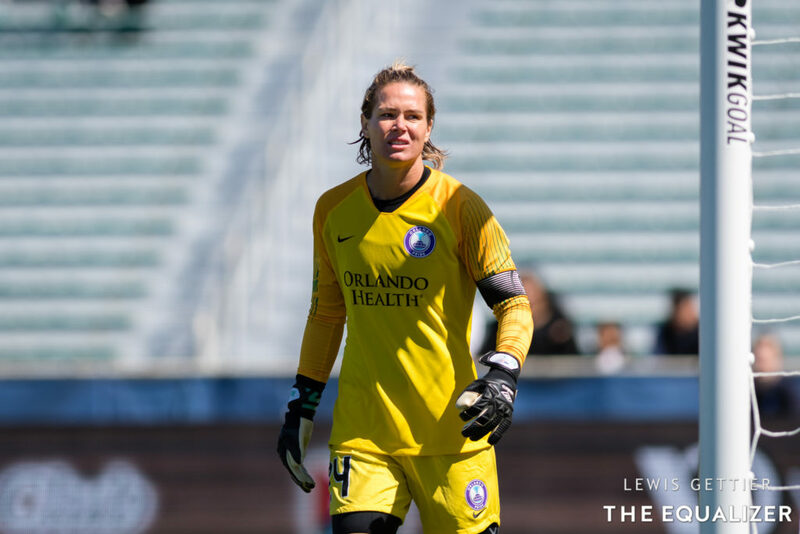 — Lauren Barnes started her seventh straight opening-day match for the Reign, making her the only player to start on opening day for the same team in all seven seasons. Her teammate Jess Fishlock had also started the previous six, but is on loan at Lyon and will not be available until at least the end of May. — In case you forgot, Kerr atoned for her miss by scoring on the recycle. It was her fourth goal of the game and the culmination of one of the greatest matches ever in women’s club soccer. — I know scheduling is a bear, but the Pride trip to North Carolina this Wednesday should have been avoided. — Goalkeeper Jane Campbell has now started 40 consecutive games in goal for the Houston Dash. Prior to the start of that streak, the club had never gone more than 10 games in a row with the same starting keeper. — The unsung player of the week for me was Alyssa Mautz. The Red Stars midfielder was instrumental in cheating to her right to help contain Jaelene Hinkle on the Courage’s left side.